It isn’t so long ago that our world was less connected – the first iPhone launched in 2007 and iPads in 2010. These devices are now commonly used for business and many of us can’t do without them! The way business is done is also changing as we move towards a “work anywhere” model, BYOD, the Cloud and Activity Based Working. We can guarantee that change is here to stay. But information needs to persist through change. So it is important to take a long term view, establishing sustainable information systems that work on multiple technology platforms, designing tools that can be used in the technology of tomorrow – whatever it is. Is your organisation is struggling with the management of all the digital information that the business is generating? Are you trying to introduce standards in the way information is managed? Are you hamstrung by the over-use of network file shares that are managed departmentally? Are you unable to apply any corporate control to records and information? Has your organisation had to respond to a subpoena or discovery request and it has taken days, or even weeks, to get the information and records together. Do any of these scenarios sound familiar? Do you have budget to solve any of these problems? How should you go about getting support, funding and approval for a solution to solve the above problems? What should that solution be? The business case is the tool to get executive support, outline the current problems and define a new future state whilst identifying the benefits, risks and financial impact to possible solutions. These headlines are all about the current debate on telecommunications companies and Internet Service providers collecting and retaining data on communications they carry; to and from mobile phones and computers. 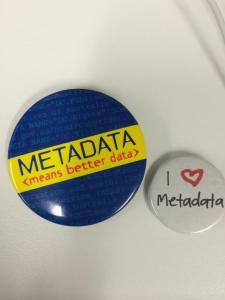 The term metadata is used as a means to distinguish this information from the content of those communications. Snow Geese Migration Corrine, Utah by Kevin Jensen. Businesses are moving to consolidate multiple systems into a single unified archive, or are reworking them using interoperability standards, to take advantage of the data analysis and reuse opportunities that follow. Government agencies are preparing legacy systems for permanent archiving. In all such cases, it is vitally important that the data contained in systems is migrated carefully and with an understanding of regulatory and business needs, and that it is done in a way that is cost efficient and maximises the potential benefits from the data’s continued use. In government sectors, the evidence shows that many business systems are in need of triage before any migration can be executed. In particular, with regard to considerations around the usability of the data they contain and its expected lifespan. Moving a legacy system relying on proprietary software containing an excess of low value transactional data of no further utility is a recipe for high costs and increased risks. In preparing for a thing on digital preservation last week, I tried to put together a list of all the great resources that are available from past and present research projects. That was surprisingly difficult to do! But I thought if I found it useful, others might too. Its not only not guaranteed to be comprehensive, its almost sure to be not comprehensive. Let me know what is missing! National Archives and Records Administration Alliance with San Diego Supercomputer Centre 2006 (research on grids)SDCC went to University of North Carolina…. Barbara Reed is a Director of Recordkeeping Innovation. She has been involved in digital preservation with a recordkeeping perspective.